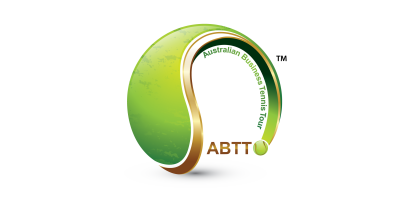 WHAT IS Australian Business Tennis Tour (ABTT)? Australian Business Tennis Tour is Australia’s biggest networking sporting event for corporate executives, business owners, University Students and entreprenaurs. Starting in Brisbane, QLD and expanding in Sydney, NSW, Melbourne, VIC and Perth, WA, ABTT will offer the thrill and the challenge to all participants to reach the grand final in each category and be the champion. With 2 categories (singles and doubles), and 4 classes, you can choose your category and class and join the tournament. WHY IS Australian Business Tennis Tour DIFFERENT THAN OTHER tournaments? There are no other tournaments in Australia that offer the challenge and the networking experience we do. What makes us unique is that Australian Business Tennis Tour is not just a social tennis event. It is a Tournament!! Challenge yourself against other professionals, carry your company’s brand with pride and receive recognition from peers, meet and play with professionals from a wide range of industries and expertise and become the Champion in your category and class. IS it a knock-out tournament? All matches are knock-out and players are responsible to honourably keep the score and declare the winner at the end of the match to the Event organisers. Referees will be used only at the finals. WHEN IS THE NEXT Australian Business Tennis Tour event COMING TO MY AREA? Check out our events page to see when the next Business Tennis Open is coming to you. Depending on the participation and other external factors the tournament’s duration can vary significantly. Australian Business Tennis Tour is for all levels of fitness and tennis skill. To register go to our events page and click the appropriate tournament. Scroll down on the event page until you find the “SIGN UP” button and then choose your desired category and class. HOW MUCH IS THE Tournament ENTRY? Our early bird price will be the cheapest registration. Check out our event pages for exact pricing. CAN I REGISTER in two categories? You are allowed to have a single entry in your corresponding class in the ‘Singles’ category and a single entry along with your partner in the ‘Doubles’ category. HOW MUCH IS THE MANDATORY INSURANCE AND WHY DO I HAVE TO PAY IT? There is an insurance fee of $10 that you must pay for when you register. This insurance is required for all players. This accounts for your contribution towards the cost associated with the insurance procured by Australian Business Tennis Tour Pty Ltd for the event. For more defined details about what is covered please read our entire waiver. You will receive a welcoming pack to the tournament with instructions and promotional material. You can edit your registration by signing into your account profile of the registration platform. This link was attached in your confirmation email. DO I GET ANYTHING IF I WIN? Winners will receive a symbolic medal and promotional prizes that will become available by sponsors and partners. WHAT IF THE Tournaments GET CANCELED? The tournament matches can be cancelled due to rain, heat or snow. If this were to happen email and social media will notify players. IF YOU ARE EXPERIENCING ISSUES/PROBLEMS WITH THE ONLINE REGISTRATION PROCESS. We do not allow players to register by phone or email, only through our online system. If you are experiencing difficulty doing so please try using a different browser (Firefox, Safari, Chrome) and deleting your browser history. Please note: we recommended not using a mobile device to register. We close online registration one week before the start of the tournament. IS THERE AN AGE LIMIT TO the tournament? No one under the age of 18 and over the age of 65 is allowed to participate in the tournament. HOW DO I USE A CODE TO REGISTER? Go through the registration process, at the bottom of one of the last pages you will see a spot to enter a discount code. Enter the code to receive your required discount. Ensure you hit the apply button to activate the discount. CAN I USE A CODE AFTER I REGISTERED? Unfortunately, it is not possible to retroactively apply a discount code to an existing registration. I’VE LOST MY CONFIRMATION EMAIL; CAN I GET A NEW ONE? Log into your account in our registration platform and a link on the right hand side will say resend confirmation email. Unfortunately, we do not offer refunds. If you cannot attend a match then your opponent is automatically declared as the winner and you will be knocked-out of the tournament. WHAT IF I CAN’T play a match DUE TO AN INJURY OR SICKNESS? No. Unfortunately, if you cannot attend a match you can’t transfer your registration to someone else and won’t be able to get a refund. Your opponent will then be automatically declared as the winner and you will be knocked-out of the tournament. Yes. You will need to ensure that you have registered as a team and each person is registered under that team name. On the event page select sign up. The next page will give you an option to be an individual, join a team, or create a team. Pick the appropriate link and follow the steps. HOW CAN I MANAGE MY TEAM? The team Captain will receive a link once they have created the team which can be used to log in and manage the team. Yes, log into your active profile and from here you can edit registration details and change to another team. ARE SPECTATORS ALLOWED during the tournament? Spectators are highly encouraged to walk around the courts and encourage the players. Please do not distract the players during the game. WHAT DO I RECEIVE PRIOR TO the start of the tournament DAY? Before the tournament you will receive a waiver that you need to sign and bring on the day of your first match and a tournament guide with all the information you should need about the tournament. CAN SOMEONE ELSE PICK UP MY tournament PACKET? No, the person registered must pick up their own packet and also require a photo ID to do so during the first match day. WHAT TO EXPECT ON first match DAY. You will need to have your rackets and gear (e.g. shoes, hat, sunscreen etc), signed waiver, and photo ID to go through registration. Tennis balls will be provided by the tournament organisers. ON match DAY WHEN SHOULD I ARRIVE? Players should arrive at least half an hour before their match time in order to park, go through registration, bag check (if desired), etc. WHEN DO I GET MY tournament PACKET? Tournament packets will be collected on the day of your first match at the registration tent. You must have your signed waiver, and photo ID. WHAT IF I MISS MY match TIME? Unfortunately if you miss your match time your opponent will automatically be declared as the winner and you will be knocked-out of the tournament. No refunds are offered. ARE THERE ANY WATER STATIONS or toilets/changing rooms ON the tournament grounds? Yes, we choose the tournament venue in a way that we ensure appropriate facilities are available for the players and spectators. HOW MUCH IS CAR PARK? Parking is not offered and is the player’s responsibility. Parking on public roads will result in your vehicle being towed on your expense. The only pets or animals allowed at the Business Tennis Opens are those that are service dogs. There will be medical staff on call while you are on course in case of an emergency. Yes, there will be multiple areas available for shade in the tournament venue area. Yes, you may bring your own food but no alcohol, grills, stoves, eskys or such object will be allowed into the tournament venue area. No, there is no childcare available. If any children are left unattended for an extended period of time we will call the proper authorities. Yes, there is a bag drop tent available in the tournament venue area. Bag drop is $2 per bag. Bags tied together will not be the price of 1 bag. Yes, we will have a merchandise tent in the festival area where you can buy all kinds of Australian Business Tennis Tour apparel. WHERE CAN I FIND MY RESULTS AND PHOTOS FROM THE tournament? All photos and results will be uploaded regularly throughout the tournament in the Results section of the website. Yes, we keep the lost and found during the tournament in the volunteer tent. If you were to lose something let someone in a green staff shirt know and check with the volunteer tent.